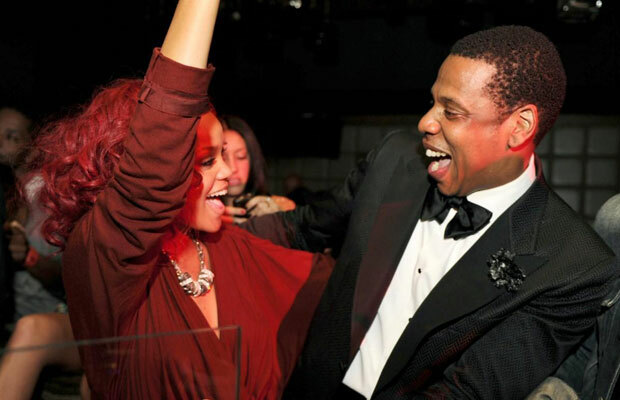 So there’s some rumor circulating online that Jay Z & Rihanna could be working on a new collab together. PageSix reported that the two were spotted at Wolfgang Puck at Hotel Bel Air in LA on Wednesday having a “business lunch.” They were accompanied by a “few security guards hanging around the terrace.” Now a source has told Page Six that they overheard them talking about “music and what they can do together.” This might just be a rumor but the timing of it is suspicious as new of Rihanna’s finished album is still fresh. The last time the two linked up we got hits like ‘Umbrella’, ‘Talk That Talk’ and ‘Run This Town’. What do you think is going on?